FC Barcelona and Palmeiras have reached an agreement for the transfer of the player Yerry Mina for the remainder of the season and five more until June 30, 2023. The cost of the transfer is €11.8m. The buyout clause has been set at €100m. We will shortly inform you of the agenda and the presentation time of the player. Born on 23 September 1994 (Guachené, Caucas, Colòmbia), Yerry Mina arrives at FC Barcelona to reinforce the central defensive positions. He will bring a physical presence as his 1.95 metre frame suggests but he is also a quick, ball-playing defender. The Colombian, who is joining from Palmeiras, uses his aerial prowess to impose himself and score goals. In fact, in his 49 games for the Brazilian side, Mina has scored nine goals. He has also scored another three with the Colombian national team with whom he has now made nine appearances since his debut on 8 June 2016. Flabio Torres, when he moved back into central defence. He continued in this position following his move to Independiente de Santa Fe, where he established himself as one of South America’s most promising players in the position before securing a move to Palmeiras in 2016. Despite his youth, he has shown his ability. In fact, in his first season with the Brazilian team he was chosen as the best centre back of the Campeonato Paulista in 2017. He has won a Torneo Finalización (2014), a Colombian Superliga (2015) and a Copa Sudamericana (2015), with Santa Fe, as well as a Serie A with Palmeiras (2016). 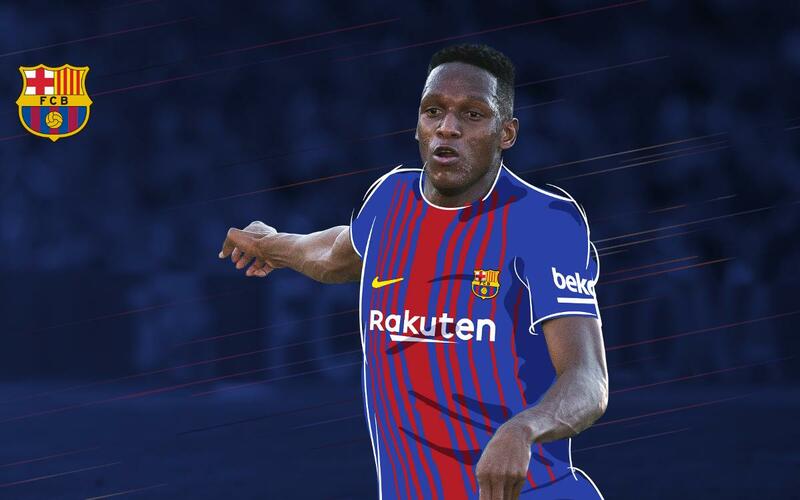 Yerry Mina now comes to Barça with the opportunity to continue developing as a footballer following his move to Europe. Without a doubt the Colombian has the potential to make it.